With style and safety in mind, Norman Window Fashions are perfect for family homes. 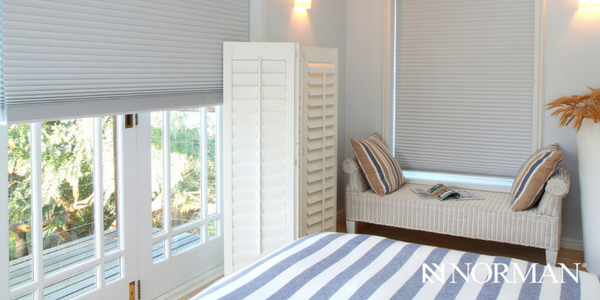 Window treatments do so much more than meets the eye! Here at Herron Carpet One Floor & Home, we are your certified Norman Window Fashions dealer. You can trust us to only choose the finest quality manufacturers that keep style and safety in mind. Feel free to learn more about Norman and when you're ready, contact us and we will be more than happy to answer any questions you have! Offering both hardwood and faux wood options. The most energy efficient window coverings that control how much light comes in. A great investment that will last the lifetime of your home. Watch this video and learn more about why Norman Window Fashions are a family friendly choice in your home! We have friendly staff on hand to help you with any questions!